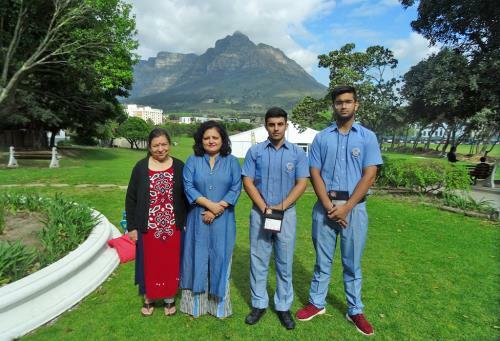 Karan Dhar & Saarthak Gupta of Class XI attended the Round Square International Conference at Cape Town, South Africa from Sept 30 to Oct 5, 2017. They were escorted to the event by RS Rep Sonia Thakur & CCE Coordinator Shobna Sethi. During the Conference, Kceans attended various sessions and took part in adventure and service activities. © 2018. KC Public School. All Rights Reserved. Designed & Developed by Ideogram Technology Solutions Pvt. ltd.